Some career highlights include campaigns for Heineken, Paddy Power, P&G and most recently, BACARDÍ, which was rated as the 2nd most creative works of 2015 by readers of The Drum. Liam graduated from UCL as a Master of Laws, after which he completed three years agency training in business and marketing. 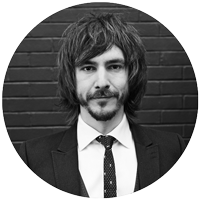 With 10 years experience in helping clients realise business, brand and audience objectives, Liam has a deft eye for creating authentic social video campaigns that people can’t help but share. Around Movember, you’ll find him twizzling an award-winning moustache.